Boston Market had their own election yesterday. What market mowl is better: Turkey or Chicken? The votes are in, and America agreed with me! Chicken! 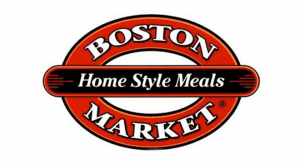 In honor of their market bowl election, Boston Market is offering a free market bowl with a market bowl and drink purchase. You do need to bring the printable coupon here on November 7, 2012 only to take advantage of this promotion. Don’t worry, this offer is good for any market bowl, so turkey lovers can rejoice too. What Market Bowl is your favorite?